← Saturn Return research study needs YOU! Jupiter /Uranus? Surprising extravagance? Surely not! There I was yesterday evening, catching up on emails. Suddenly, for no good reason that I could later discern, I took a notion to type ‘astrology business cards’ into Google. After all, my business cards have been mildly out-of date for quite some time. Several sites came up. The one three down from the top sounded professional – I didn’t fancy anything bedecked with crystal balls or similar woo-woo – so on I clicked. There it was – irresistible to both my aesthetic sense and my multiple Leo planets (all in the Twelfth House: I am NOT Mick Jagger…). A beautiful, aesthetically pleasing, Lion-rampant card, set against the deep blue background of the starry heavens. ‘That’s the one!” I thought, setting to work to customise and order it. The process took no time at all. I could not believe how straightforward it was. My 250 cards cost me $58. I knew the shipping from USA was going to be quite pricey. However, I almost fell off my chair when I saw HOW pricey the total bill was, including shipping: $192!!!! “What the hell!” I said to myself, the inner wrestling match decided, “I have the money and I love those cards!” – and pressed the PAY button. 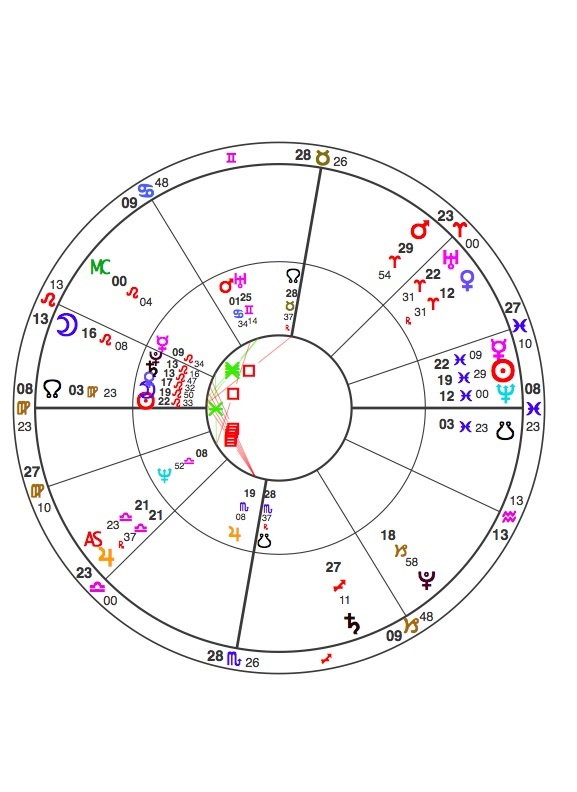 Jupiter rising opposite Mars/Uranus falls across my Second/Eighth House money axis, sextile and trine my natal Leo stellium and the Leo Moon of the moment’s horoscope. The moment’s MC falls in my Eleventh House, denoting the business company providing the cards, and the outreach for which the cards are intended. 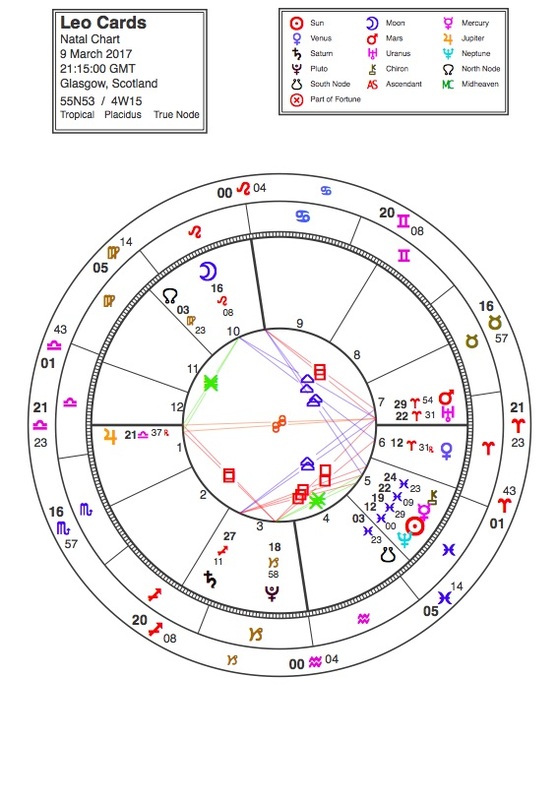 The moment’s Part of Fortune ( not shown in the above bi-wheel) falls at 25 Taurus, conjunct my MC/North Node, in the Ninth House of which foreign connections and PR are two branches. There are many other relevant connections, which I shall leave for my readers to comment on if they see them! My horoscope pondering was interrupted by my husband’s question: “When you chose your Delivery option, you didn’t by any chance select Express?” Light dawned in my by now rather frazzled brain. I remembered the option had been set at Express delivery. I hadn’t changed it. “What a twit!” quoth the Aquarian. Now, I have gone a long way in life by taking the view, ALWAYS, that I have a right to ask for anything in a civil manner, and the other party has an equal right to refuse (in similar vein, hopefully). I looked at the Cards Purchase chart, thought “Some kind and magnanimous lady in that business company looks predisposed to be kind to me”, and dashed off an extremely nice email, explaining what I’d done, claiming full responsibility, and asking if my shipping option could be changed from Express to the ordinary version. I also complimented them on their lovely cards, and on the ease with which the whole process had been accomplished. The next morning, I found an email from a charming lady called Tiffany from the business card company to inform me that they had indeed changed my shipping option – and refunded $80 dollars. 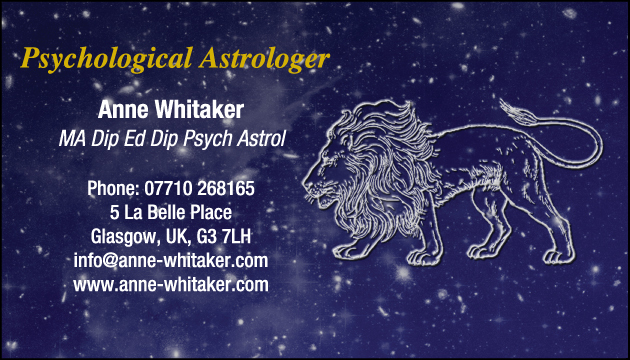 So, folks, if you’d like some really lovely astrology business cards, click on the ‘Leo Card’ caption below the blue card JPEG, and you can go straight to the very place where I found mine. I’d like to dedicate this post in advance to World Astrology Day on 20th March 2017. Last year, I published a post on this site for World Astrology Day called Six things I love about astrology. The story I have just told you, which I hope you will enjoy, especially the laugh at my expense ( literally! 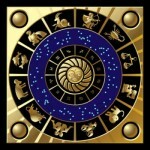 ), illustrates very clearly for me why astrology never ceases to astonish, affirm and delight. No matter what happens, astrology’s symbols are always there, ready to comment. This entry was posted in Uncategorized (35 articles) and tagged Ascendant, Astrological Jupiter, Astrology, horoscope, Leo/Aquarius, Saturn. Bookmark the permalink. And, I don’t just like your new cards because I’m 29 degrees Leo. They are perfect… timing and everything synchronistic! Thank you for another Venus retrograde example – purchase of an attractive item which then disappoints in some way (but worked out well in your case). Do you think the money back is described by Venus retrograde in your 8th, other people’s money? Well spotted, TCA! Thanks for dropping by and commenting. Well, why not? You could buy yourself some business cards with your winnings!! Thanks, GT! AstroGold. Very much recommended for on the go ⚡️ But I used my Io software to calculate the charts for the actual article on my computer. Anne, you are the queen of understatement! 😫 PS: Love your new card. I do my best, Leslie! OMG, the first thing I saw was Jupiter at 21 degrees Libra, thats my Ascendent.Maybe I should move to Glasgow. wow Chrissy… I have 20 degrees Libra, in a Libra stellium, jupiter is all over me!!!! In a good-ish way, Marilyn, I hope! Life not dull with either of you, methinks! Love your story Anne, just brilliant!